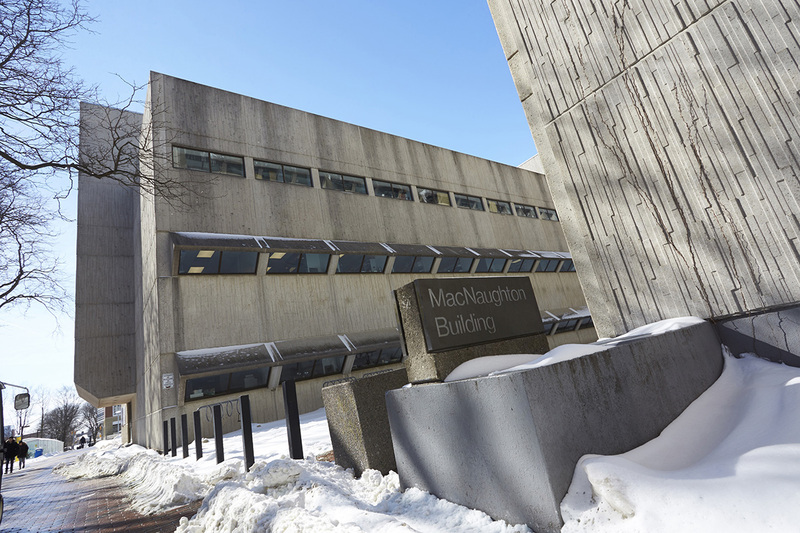 The first-phase renewal of the 60-year-old MacNaughton Building represents an aspect of the extensive $70 million undertaking for the University of Guelph. 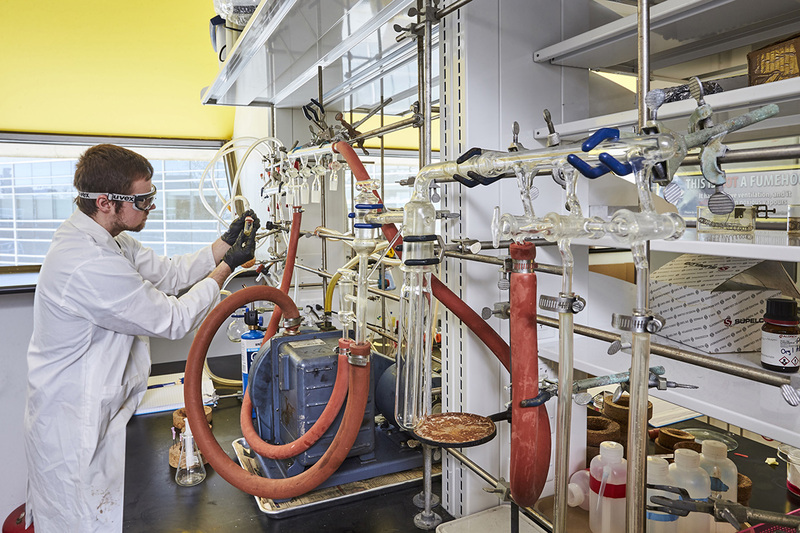 The ultimate objective of this complex project was to modernize the facilities and make it responsive to the modern needs of its chemistry, mathematics and physics departments. As the Strategic Innovation Fund (SIF) provided $14 million in financial support to improve the laboratory spaces, the team worked closely with the stakeholders and facilities team to capitalize on this opportunity, prioritizing its wish list and developing a phased program that set it up for future improvements. Moving forward with phase 1, our scope included four floors (inclusive of the basement) of laboratory, office and collaborative space. These areas have been extensively renovated to respond to the way in which its research teams learn, experiment and explore graduate concepts. On the first floor, the laboratories prioritize transparency, with glazed partitioned student workspaces integrated into but independent of the laboratory area. We provided separate entrances between the classroom and laboratories, emphasizing containment and safety, while protecting sight lines, allowing for generous connection. We introduced a standardized layout, maximizing the flexibility of the space now and into the future, including additional reserved space of approximately 25% which allows for expansion. On the second floor, we created a collaborative think-tank environment, with a break-out space which responds to the type of environments that support interaction between researchers. On the third floor, we maintained the traditional office environments for professors, administrators and students. Now complete, phase 1 required a great deal of planning and thought with regards to a vision for the next phase. 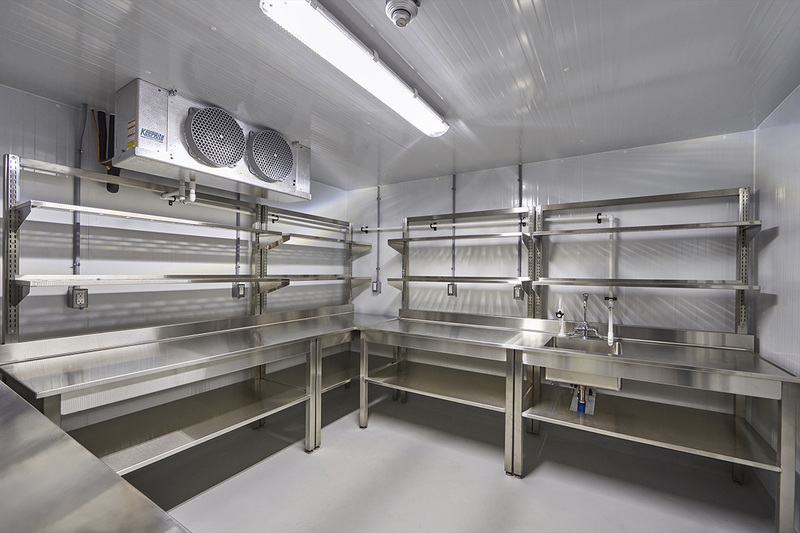 This planning has ensured that we could work backward into the phase 2 scope and upgrade the infrastructure required for state-of-the-art labs with minimal impact on the users during construction, emphasizing the tangible impact of our firm’s integrated design approach. In the interim, before phase 2 is realized, the existing infrastructure has been maximized to allow for the operation of the building until phase 2 can be implemented.